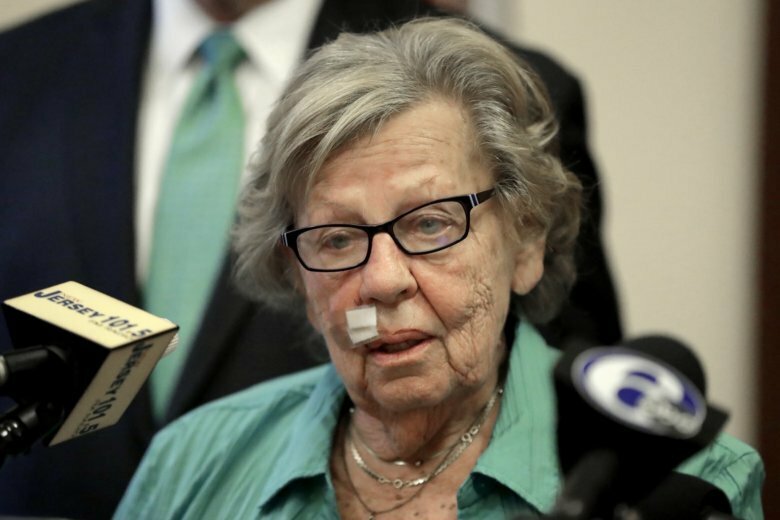 TRENTON, N.J. (AP) — An 83-year-old New Jersey state senator revealed Friday that she was groped and forcibly kissed by a visitor in her home when she was just a girl. Sen. Loretta Weinberg said she never told anyone about it until now. Weinberg, the Senate majority leader, posted Friday about the encounter on Facebook. The Democratic lawmaker said she was 13 and remembers the “EXACT” time and “EXACTLY” where she was when it happened. She says she’s not confused. Weinberg named her alleged assailant, a frequent visitor to their house when she was growing up. He is believed to be deceased. Her revelation comes just a day after emotionally charged testimony in Washington that saw Christine Blasey Ford accuse Supreme Court nominee Brett Kavanaugh of sexually assaulting her when they were both in high school. Kavanaugh denied it. It also comes just a day after Weinberg helped author the state Legislature’s first new anti-harassment policy since 2009, and the first of the #MeToo era. She helped spearhead a rewrite of the policy soon after the allegations surrounding disgraced movie producer Harvey Weinstein surfaced. Among the changes are a new requirement for anti-harassment training for lawmakers and staff. Weinberg called it “appropriate” that the policy, which was approved without any opposition, was passed the same day Ford was giving her testimony. Weinberg has been the majority leader since 2012 and served in the Senate since 2005. She began her legislative career as an Assembly member in 1992. She was former Democratic Gov. Jon Corzine’s running mate in 2009, when the pair lost to Republican Chris Christie. She was also a frequent foil and foe to Christie, who left office after two terms this year. She co-chaired a legislative commission that investigated the George Washington Bridge lane closure scandal. Weinberg represents the 37th Legislative District, which includes a handful of Bergen County towns in northeastern New Jersey.